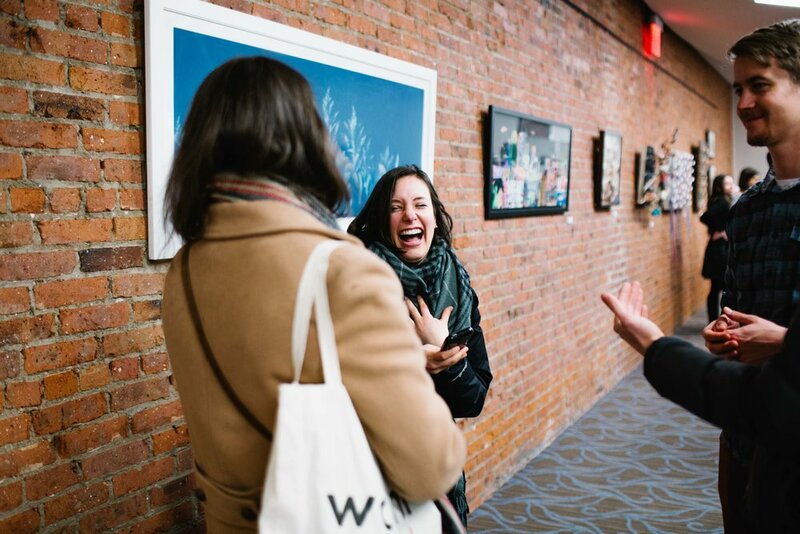 In “Genius Loci: Spirit of the Place,” students from The Geneva School of Manhattan explore the ways they are connected and how their lives intertwine. Comprised of native New Yorkers and transplants hailing from around the globe, this student body of diverse backgrounds and ethnicities create pieces together that bear manifold witness to the pluralistic nature of NYC while unearthing their shared commonalities. 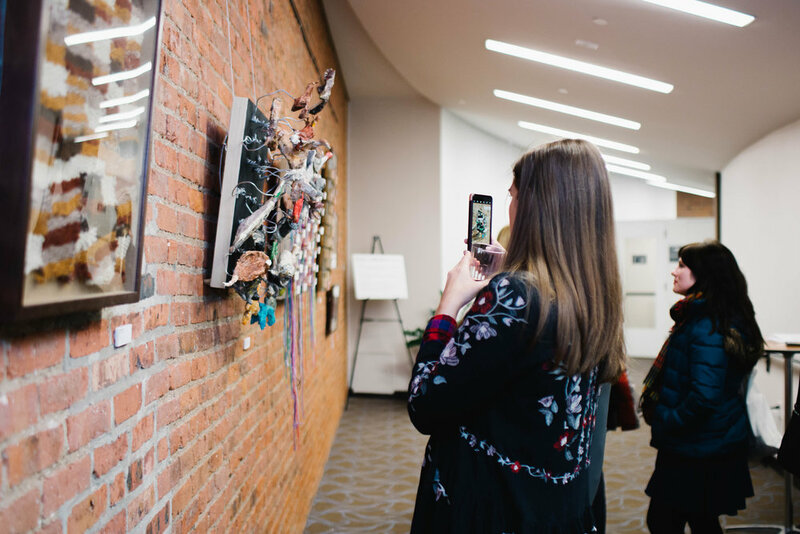 The students express themselves through a variety of everyday mediums. 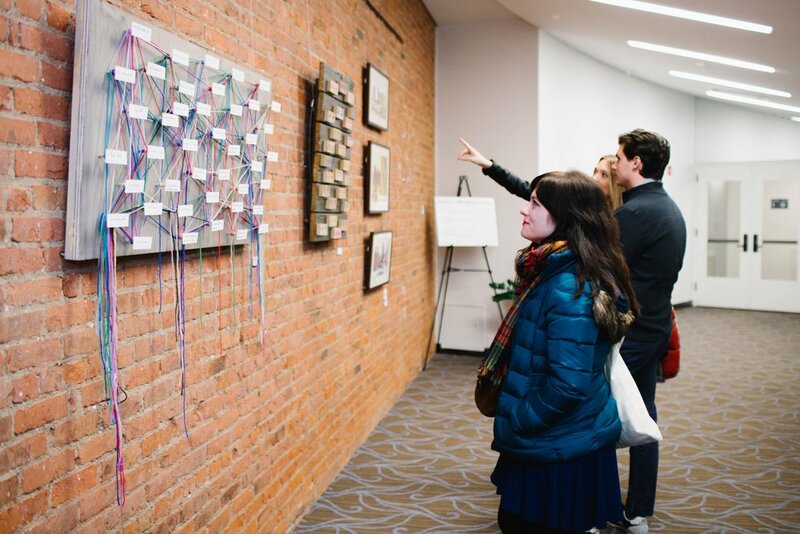 Woven tapestries map their identities and shared experiences: I have been treated differently because of who I am. I am a child of God. I have forgiven my mother instead of blaming her. Unique fingerprints in ink blend together to form representations of spaces where they learn and grow. 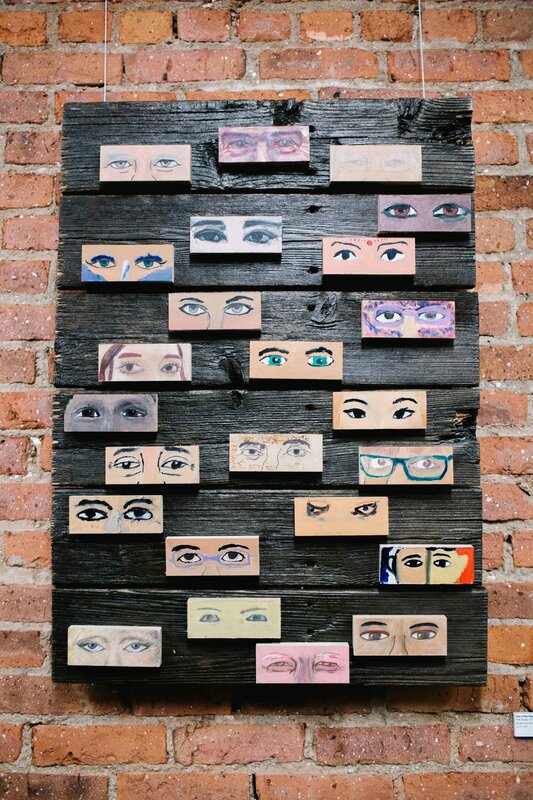 Details captured in close-ups of the eyes of strangers and friends are rendered on reclaimed boards of wood. Through collaborative expression, the students work out their own experiences and showcase their unique voices. 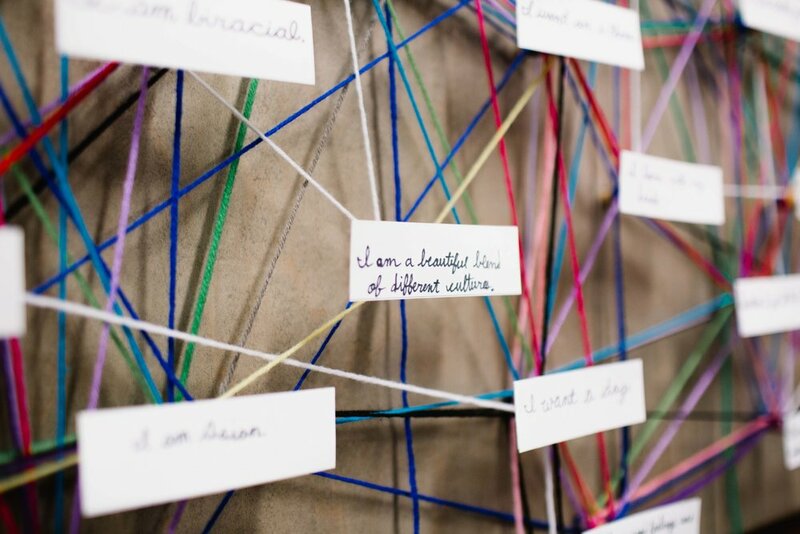 Their imaginations point us toward the interconnectedness, independence, and interdependence that we all share.